This article undertakes a literature review on such articles on social media and citizen-centric e-government services. This research uses 139 articles to perform the intended literature review. The keywords analysis of these articles indicates that Web 2.0, participation and open government/open data were some of the frequently used keywords in addition to the two major themes of e-government and social media on which all the articles were searched for. The analysis of research methods indicated that majority of the studies were analytical, conceptual, descriptive, or theoretical in nature. The theoretical analysis however indicated that there is a lack of theory-based research in this area. The review of literature indicated that research themes such as electronic participation, engagement, transparency, communication/interaction, trust, security and collaboration are some of the most frequently used categories under this area of research. A research framework has also been proposed from the key themes emerging from the review. Governments across the world are responsible to their citizens and society at large, as they are accountable for preserving the interests of the general public (Bonson et al., 2015). Driven by rising citizen prospects and the need for government innovation, social media has become a key component of electronic government (hereafter, e-government) in a very short period of time (Bertot et al., 2012). Given the substantial evidence to suggest a steady rise in the predominance of social media among citizens of all walks of life, government organisations are now increasingly experimenting with social technology to communicate with their citizens (Chui et al., 2012; Goncalves et al., 2015). 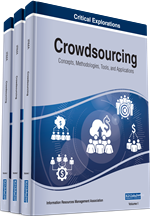 Such efforts and others have given rise to great anticipations in terms of reaching out to new audiences, building a relationship with constituents and other stakeholders, creating new patterns of communication, refining openness, transparency and participatory democracy, crowdsourcing solutions and innovation and above all lowering government costs (Kavanaugh et al., 2012; Picazo-Vela et al., 2012). A number of studies (e.g. Cotterill and King, 2007; Dwivedi et al., 2017a; Kaigo and Okura, 2016; Mossberger et al., 2013) have analysed the role of social media in fostering the transparency of governments and strengthening the interaction between citizens, other relevant stakeholders and public administrations in the last decade. For example, Cotterill and King (2007) explored how UK local authorities and their partners work together in sub-regional e-government partnerships. Through a case study, the authors also found that social networks can have some impact on the adoption and implementation of e-government in the region. Similarly, Kaigo and Okura (2016) explored how various functions of government promote the civil society Facebook page engagement and how the dysfunctions in the government operations unintentionally discourage engagement.